Several Cannabis-related bills have been introduced by the U.S. Congress in the current 114th Session. Three of these relate specifically to CBD. Several cannabis-related bills have been introduced by the U.S. Congress in the current 114th Session. Three of these bills relate specifically to the isolate cannabidiol (CBD), while another—the Industrial Hemp Farming Act of 2015—could significantly impact the legal status of low-THC varieties of Cannabis and whole plant preparations in general. These bills are discussed below in order of their filing dates. The Industrial Hemp Farming Act of 2015 (S.134 & H.R. 525). The Industrial Hemp Farming Act of 2013 was officially re-filed in both the U.S. Senate (S.134) and the U.S. House (H.R. 525), and is thus now the Industrial Hemp Farming Act of 2015. It is noteworthy that unlike the definition of “marihuana,” the definition of industrial hemp does not exclude plant resins, a legislative nuance that could prove to be very significant with respect to CBD-rich oil extraction. 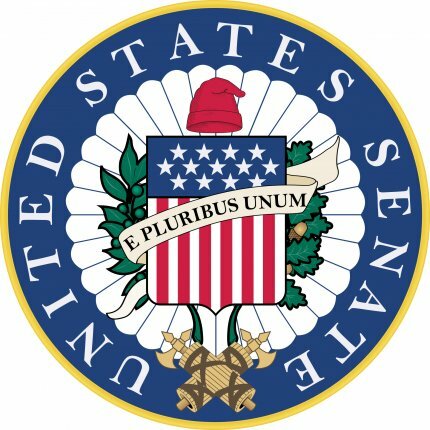 The Senate version of the Industrial Hemp Farming Act was filed in January by Sen. R. Wyden (D-OR) on behalf of himself and prime co-sponsors Sen. Merkley (D-OR) and Sen. McConnell (R-KY) and Paul (R-KY). The House version, also introduced in January, was filed by Rep. T. Massie (R-KY) on behalf of himself and numerous bipartisan co-sponsors. As of Labor Day 2015, only nine U.S. senators have co-sponsored S.134. If you support the legalization of industrial hemp, contact your senator by phone, mail and/or email to request that they co-sponsor S.134. For more information or to communicate to your senator, go to www.VoteHemp.com and click the “Take Action” tab. Known as the CARERS Act, this legislation has gained support from multiple drug policy and Cannabis organizations. It is an important bill, a significant step forward for medical marijuana patients in many respects, with the arguable exception that the CARERS Act would remove marihuana from Schedule I (dangerous with no medical value) and re-categorize it as a Schedule II controlled substance. Schedule II is reserved for substances with a high potential for abuse leading to severe psychological or physical dependence (oxycodone, fentanyl, morphine, hydrocodone, methadone, and amphetamine, among others). Project CBD maintains that herbal Cannabis should be entirely de-scheduled. It removes unnecessary bureaucratic barriers to research and ends NIDA’s research monopoly. For more information, contact Americans for Safe Access, which has championed the CARERS Act on Capital Hill. The Charlotte’s Web Medical Access Act of 2015 and the Therapeutic Hemp Medical Access Act of 2015. The Charlotte’s Web Medical Access Act, promoted by Realm of Caring lobbyists, was filed by Rep. S. Perry (R-PA) in March. Two months later Sen. C. Gardner (R-OR) filed the Therapeutic Hemp Medical Access Act of 2015. Further exempts “cannabidiol” and “cannabidiol-rich plants” from the 1938 Federal Food, Drug, and Cosmetic Act (21 U.S.C. 301, et seq). Does not include a sunset clause or an exemption from the 1938 Federal Food, Drug, and Cosmetic Act. It is beyond the scope of this legislative sumary to predict when or whether any of these particular bills will get enacted during the current Congressional session. Nor does this summary address H.R. 1940 (the Respect State Marijuana Laws Act of 2015), which was introduced in the U.S. House of Representatives and will, if passed, protect state marijuana legalization laws from federal interference. This measure does not specifically mention CBD. There are also three Cannabis-related amendments to H.R. 2578 (the Commerce, Justice, Science, and Related Agencies Appropriations Act of 2016) that do not reference CBD. The passage of any of these measures would be a positive development for medical marijuana patients. Joy Beckerman is president of Hemp Ace International. She serves as a legal analyst for the Hemp Industry Association’s Cannabinoids Safety Committee.